If you’re looking for the latest splash of modernity in your bathroom, then a trough sink is the way to go. They are sleek, modern, and add a real wow factor to any room. No matter what your décor is, a trough sink will look great in your bathroom. Solid Surface.ca uses DuPont Corian material to handcraft a trough sink that is versatile, practical, and stylish. Dupont Corian material is extremely durable and stain resistance. 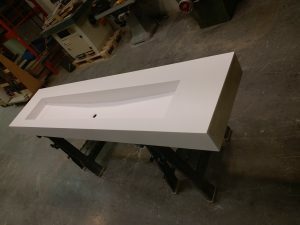 It will stand the test of time and whether you plan on selling your home next year or next decade, you can count on the resales factor of a Dupont Corian trough sink. There are over 100 color choices to choose from. Whether you’re going for a minimalist, black and white bathroom décor, or want a pop of color, you can match your trough sink to the rest of the room. For size, there are unlimited possibilities for your next trough sink. 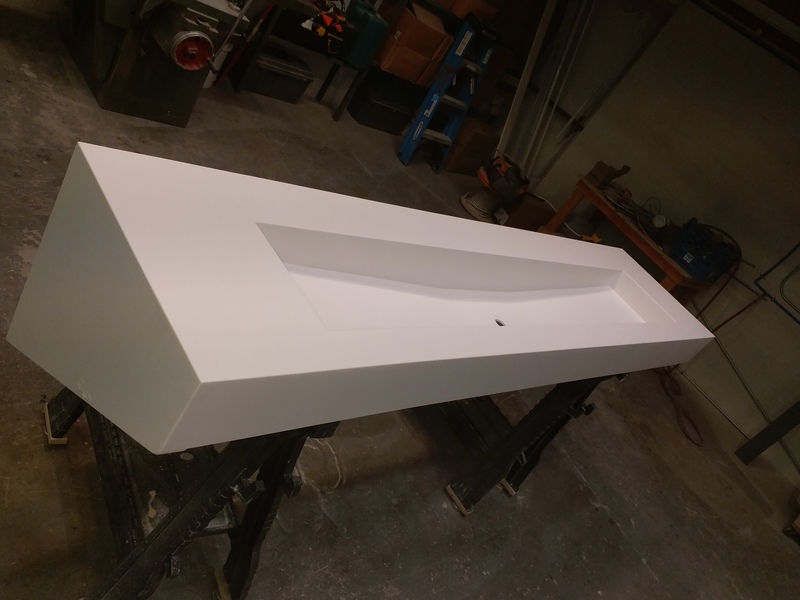 Simple measure the area you want your new trough sink to fit in, and talk to one of our design specialists to come up with the perfect plan. Nobody wants a dirty bathroom. 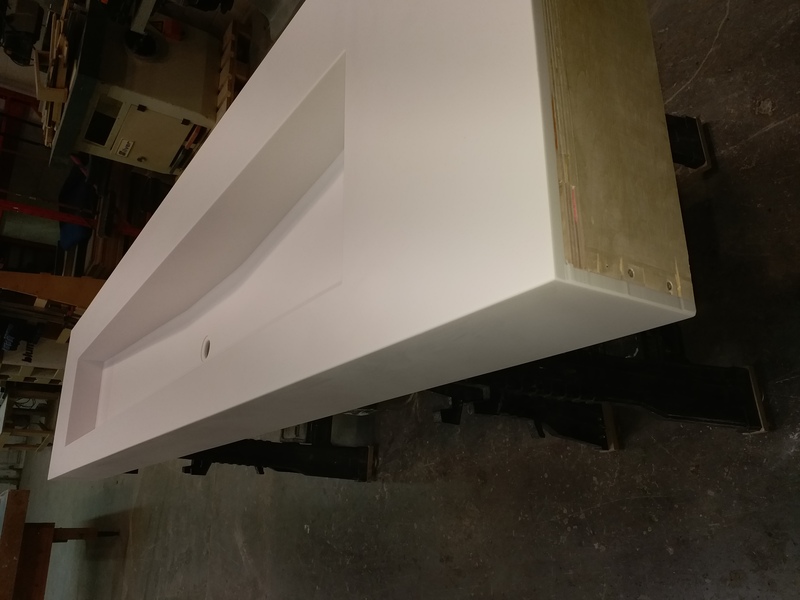 Thankfully, your new DuPont Corian trough sink is very easy to clean. Simply use soapy water, scrub lightly, and wipe down. There will be no dirt or residue left behind. For hard water marks, a few preventative measures like wiping down after use will further enhance the lifespan of your new trough sink. 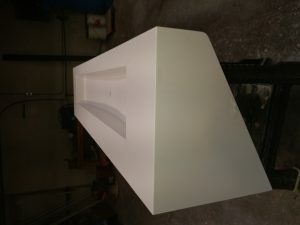 A trough sink using the finest DuPont Corian material will look great in any bathroom. Whether it’s a new build or a renovation, have the bathroom you’ve always dreamed of. Contact us today (416) 346-5612 to get more information and to book a design consultation.